As a woman who loves the outdoors, I do my best to educate myself and learn skills that will keep me safe when I’m in the field. I stay in good physical shape to avoid injury, I make checklists so I don’t forget to pack crucial items, and I arm myself with the necessary tools for the job. One of these tools is my BaseMap app. 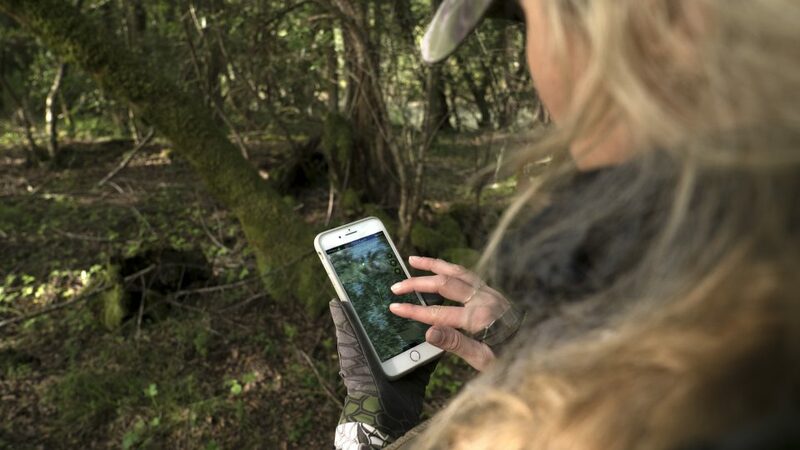 With the BASEMAP App you can own your hunt, planning the details and knowing when and where you can hunt has never been easier than with BASEMAP. Even when we are prepared, we can sometimes make mistakes. I remember a time a couple years ago when I went for a hike with my dog in a state park, and I got turned around. After almost an entire day lost in the woods with very little supplies, I finally found my way back. Why am I telling you that story? Because part of my public platform includes encouraging and empowering women to go spend time outdoors. But I want them to be safe on their journey. I know I’m not the only one who doesn’t leave home without my cell phone or other device, so it makes sense to use that as an added layer of protection in the field. I recently downloaded the new app from BaseMap, and it has made a huge difference in my sense of security when I am spending time outdoors. You should always know your boundaries when you are out in the field, and that includes understanding parcel ownership. BaseMap offers nationwide coverage showing public and private land boundaries with Hybrid 3D mapping technology. This means that it won’t run your device battery down as quickly, and you can actually tilt the map to see exactly what the terrain looks like from every angle. I also like that BaseMap has hundreds of layers to choose from so you can customize your experience. They have layers showing nationwide hiking trails, nationwide lakes and rivers, habitat range to show you where the animals actually live, and also options to customize your application like taking photos and pinning them to your map. Without any cell phone signal you can access your maps and layers, and even track your progress as you move through the outdoors. BaseMap also offers Hunt Planning technology so you can plan your next adventure more efficiently than ever before. Simply click on a state and unit, choose what species you are after, and watch as this app displays all of the information in front of you. They list draw odds, season dates, past season harvest data, and even bonus point information. BaseMap has now put the ability to “Own The Outdoors” in the palm of your hand. 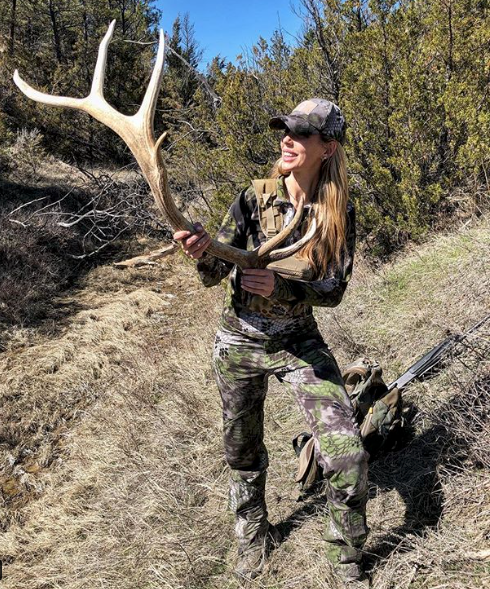 You can bet Julie McQueen appreciates having the BaseMap app when she’s out shed hunting, too! This is a product that I believe everyone can use. The app itself is easy to navigate and will open your eyes to the world around you in new ways. My story, as an outdoorswoman, is that I feel more empowered in the field when I know I can always find my way back to where I started. And follow BaseMap on Facebook and Instagram.